Assessment of thyroid parenchymal echogenicity on ultrasonography is a predictor of future thyroid dysfunction. Our objective was to determine the prognostic value of acoustic structure quantification (ASQ) to predict the outcome of patients with Hashimoto’s thyroiditis (HT). We prospectively evaluated 90 patients with HT using ASQ from May to December 2013. Surveillance for the development of overt hypothyroidism was conducted over a median period of 40 months (3–55). ASQ were dichotomized based on optimal cutoff values obtained from ROC curve analysis. The probability of developing overt hypothyroidism was compared between the dichotomized subgroups using Kaplan–Meier analysis and log-rank tests. Multivariate Cox regression analysis was performed to determine significant prognostic factors. The cumulative rate of overt hypothyroidism was 67.7%. The median interval to overt hypothyroidism was 27.9 months (95% confidence interval, 12.0–38.0 months). There was no significant difference in the risk of overt hypothyroidism using qualitative echogenicity between groups (p = 0.669) according to Kaplan–Meier analysis. However, the ASQ average (p < 0.001), standard deviation (p = 0.015), and focal disturbance ratio (p < 0.001) were significantly associated with an increased risk of overt hypothyroidism. Multivariate Cox regression analysis revealed that a higher ASQ average (hazard ratio, 1.03; p = 0.03) and higher thyroid-stimulating hormone level (hazard ratio, 1.02; p = 0.02) were independent predictors of overt hypothyroidism. ASQ has potential as a prognostic biomarker for predicting the risk of overt hypothyroidism in patients with HT. 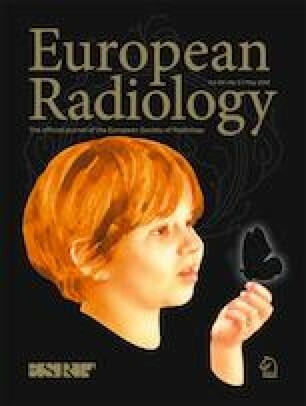 • ASQ provides quantitative prognostic information of thyroid parenchymal echogenicity. • ASQ parameters improved the stratification of patients who are prone to develop overt hypothyroidism in HT. • ASQ can serve as prognostic biomarker in HT. The online version of this article ( https://doi.org/10.1007/s00330-019-06174-z) contains supplementary material, which is available to authorized users. The scientific guarantor of this publication is Hyun Sook Hong. All adult participants provided written informed consent to participate in this study. We disclose that 70 patients in the current study participated in our previous study by Park et al . The previous study dealt with ASQ imaging in terms of differentiating patients with thyroiditis from normal subjects. In this study, those patients were followed up for 5 years, and the prognostic utility of ASQ was investigated.